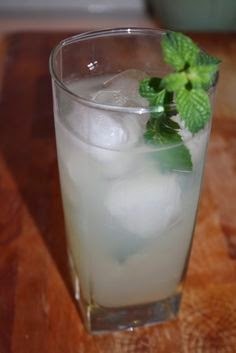 These may be a little dangerous due to their refreshing, delicious flavor and large quantity of alcohol but I am here to tell you they are the best new summer cocktail I have found!!! In a 2-quart pitcher, stir gin, lime juice, and syrup. Refrigerate. To serve, pour into a cocktail shaker filled with ice, shake vigorously, and divide among ice-filled 10-ounce glasses. (For a single drink, mix in a cocktail shaker filled with ice, and shake.) Garnish each with cucumber peel and mint.